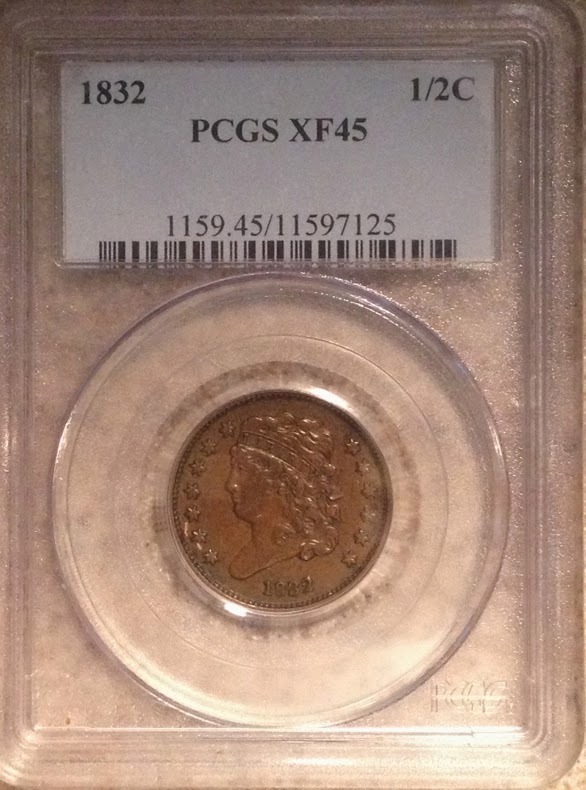 Although I like the draped bust half cents more, capped bust half cents (also called "classic head" and "turban head") are interesting and attractive. The mintages are generally low, with only 1809 exceeding one million. Only 154,000 of the 1832 shown here were minted and it's estimated that only a few thousand survived. Yet, because few people collect these, they trade for relatively small money - I paid $120.00 for this one. Illegal restrikes were made at the Mint in the 1850's of 1831 and 1836. 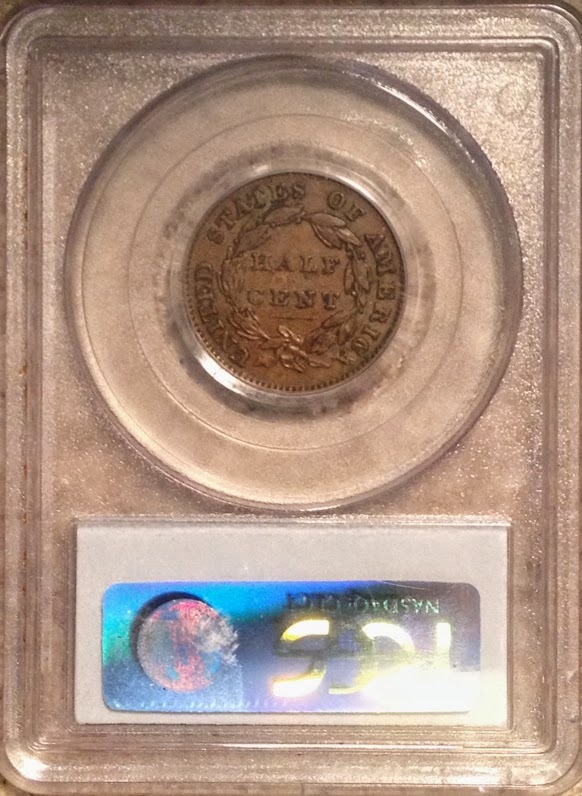 The 1811 restrike was made outside of the Mint. Yet all of those are considered collectible and are listed in guides like the Rad Book.